$100 Off on Purchase of 4 Tires! Denver's Tire Maintenance, Repair & Replacement Specialists. We sell tires for less...Every day. The name brands you can trust. Colorado has some of the most fun, yet challenging roads our country has to offer. That's why tire maintenance around here is so critical. Make sure you're ready with a premier set of tires, rims and wheels, or have yours checked to make sure your current set is up for the rigors of Colorado's demanding weather. Mountain States Toyota is giving you all the facts for you to know your tires! Winter tires should really be called cold-weather tires! They do best in the cold, harsh winter months on every road condition. Their unique tread design adapts to the conditions allowing better grip and handling. They are made of a compound of flexible rubber. These tires contain silica, helping them to remain flexible in cold weather. The treads on winter tires are substantially deeper and made too dig more deeply into compacted snow. There are also slits in the tires, which are called Sipes. They expand and flex when on the ground, preventing sliding while adding control and shorten stopping distance. All-weather tires differ from winter tires in that they can be left on the car all year round. All-weather tires are perfect for area city driving and in milder winter weather, because they provide the traction you need for weekend adventures, as well as the grip on wet and slushy urban roads. How Often Should I Rotate Or Change My Tires? To maintain proper wear and tear on your tires it is recommended that you rotate your tires every 5,000 miles. To maintain equal tire wear, some experts say a rotation every oil change would be good! A good judge of whether or not it is time to change your tires is the quarter test. Just place a quarter head first into several tread grooves across the tire. If you see the top of Washington's head, your treads are shallow and worn. If so, your tires need to be replaced. If part of Washington's head is covered by the tread, you have more than 4/32 of an inch of tread depth remaining! 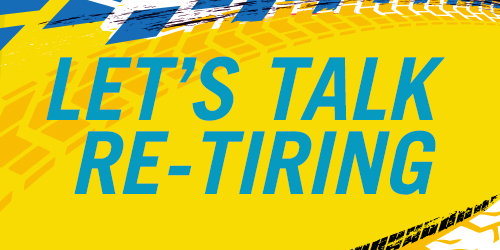 Your Tires Need Maintenance Too! Just like every other part of your vehicle, your tires need regular maintenance as well. Keeping them filled to proper inflation, doing the quarter test, and always checking for sidewall or other damage is crucial. These small steps can help better gas mileage and save on costly repairs and possible breakdowns. Mountain States Toyota Has You Covered! Mountain States Toyota has a huge selection of all the leading tire brands. Plus, our skilled service department can complete all of the installation for you, so that your experience is as effortless as possible. Stop in today and get the tires or tire service you need Mountain States Toyota in Denver, Colorado. Give us a call or visit us today for all you tire needs and see for yourself why Mountain States Toyota is the premiere Toyota dealership in Colorado. Proudly serving drivers in Denver, Aurora, Lakewood Colorado, and all the surrounding areas! Disc: Price plus tax and shop supplies, includes installation. Valid only at Mountain States Toyota, on approved tires. Service may vary on some models. Not available for all models. Must present coupon at time of purchase. May not be combined with other coupons, discounts, or specials. Limit one coupon per person. Offer Expires 03/31/19.